The team behind last year’s Brothers: A Tale of Two Sons has started a new studio called Hazelight, headed by the Brothers director Josef Fares. Electronic Arts is publishing their first game, teased in the screenshot above. It does not yet have a title. Fares’ success with Brothers came after many successful works in film. “Movies are a great way of telling a story,” he says, “but the potential of interactive storytelling through games is even greater.” After the emotional journey that Brothers was, he has a point. When inquired, Hazelight told us “We are not at AAA level budget-wise. We are a comparably small team in the area of 20-25 employees.” In other words, they are right up our alley. Check out the teaser for their new game below. Fares’ cinematic flare is obvious. 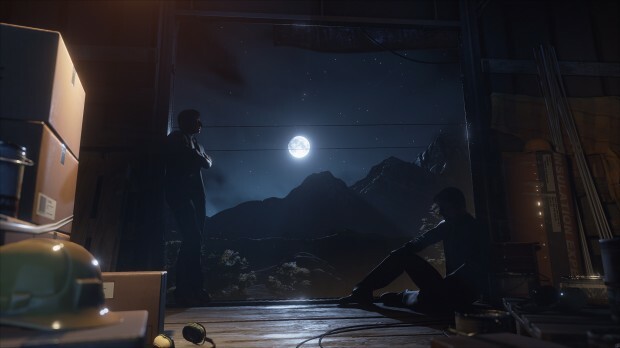 The teaser shows two men riding a train on a moonlit night. Tall mountains and trees appear in the landscape, but you can also see power lines, indicating a fairly modern setting. Onboard the train are some boxes, headphones, paint cans and hard hats. Are they hitching a ride? Are they meant to be there? Are they also brothers? We’ll just have to wait and see. Nick Santangelo contributed reporting to this story.